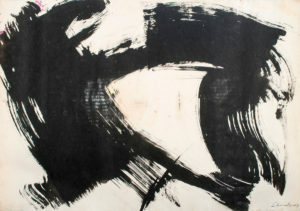 130 x 97 cm / 51.1 x 38.1 in. 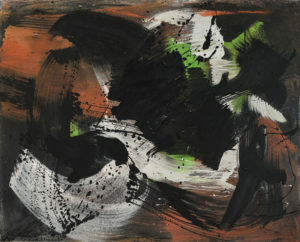 24,5 x 31,8 cm / 9.45 x 12.6 in. 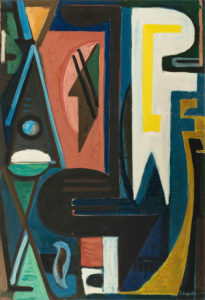 130 x 97 cm / 51.2 x 38.2 in. 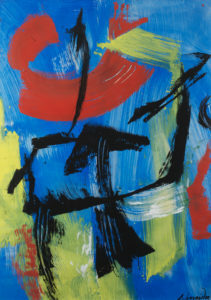 81 x 100 cm / 31.8 x 39.3 in. 38 x 55 cm / 15 x 21.7 in. 52 x 74,5 cm / 20.5 x 29.3 in. 105 x 75 cm / 41.3 x 29.5 in. 50 x 65 cm / 20 x 26 in. 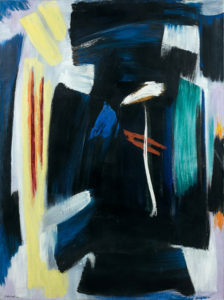 145 x 105 cm / 57 x 41.3 in. 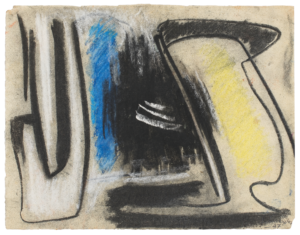 A major pioneer of Lyrical Abstraction, a gestural and personal form of abstraction, along with Hans Hartung and Pierre Soulages, Gérard Schneider was shown in Paris at the Galerie Louis Carré as early as 1950. 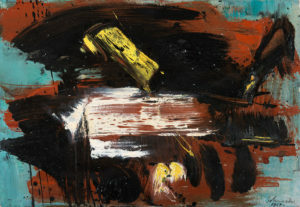 From 1955 to 1960, Schneider’s work was exhibited at the famous Kootz Gallery in New York where an exclusivity contract connected the artist and the major American dealer Samuel Kootz. 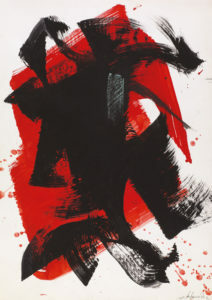 From gesture, “the shape is born, whether lyrical or dramatic, with its colour and technical means, without any reference to external nature” according to Schneider. 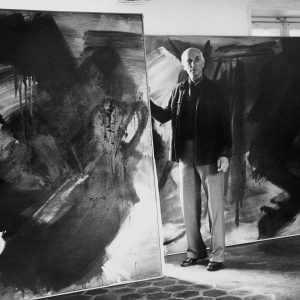 Eugène Ionesco even spoke of “the original, eruptive, richness” of his work. 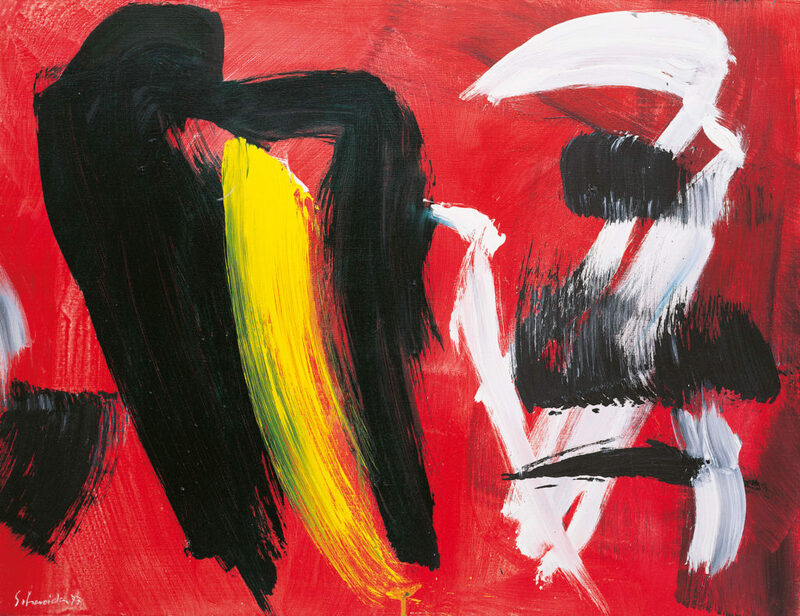 From nervous gesture and volcanic composition, full of tension, of the 1950s followed “the light years” from Michel Ragon’s expression, which were marked by the balance of forms reflecting each other and the explosion of colour. 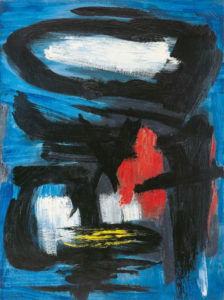 “Painting should be looked in the same way as music is listened to” as Schneider enjoyed saying. 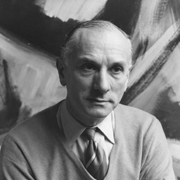 Musical, his work is to be understood like “an orchestra” which expresses “passion, fury, romanticism,“ according to Michel Ragon. 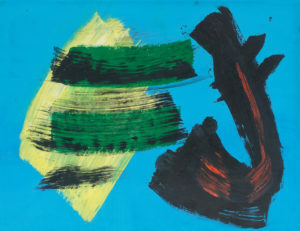 The Galerie Diane de Polignac in Paris is preparing the Catalogue raisonné of the works on canvas of Gérard Schneider edited by Laurence Schneider, the artist’s daughter and Patrick Gilles Persin, an art historian.